While nearly two years have passed since its last hearing on Gulf War veterans' illnesses, the leadership of the the U.S. House of Representatives Committee on Veterans' Affairs should be applauded for scheduling what should prove to be a groundbreaking hearing, entitled, Gulf War Illness Research: Is Enough Being Done, on Tuesday, May 19th. Gulf War veterans should commend Subcommittee Chairman Harry Mitchell (D-Ariz.) and Ranking Member David Poe (R-Tenn.) for their leadership in scheduling this hearing, as well as full Committee Chair Bob Filner (D-Calif.) and Ranking Member Steve Buyer (R-Ind.). Buyer publicly discussed his own experiences with his Gulf War illness when he was first elected to Congress, but quickly learned that public life's impossible demands include require an image of perfect "fitness," regardless of how much one's personal experiences might help impact their ability to do a job well. * An official representative of the U.S. Department of Defense (DoD). * An official representative of the U.S. Department of Veterans Affairs (VA). * An official representative of the U.S. Central Intelligence Agency. 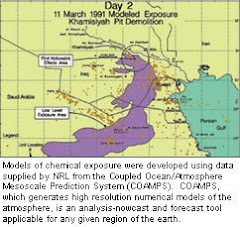 In 1996, then-CIA analyst Patrick Eddington released a book entitled Gassed in the Gulf, which blew the lid off official government denials of Iraq's forward-deployment and use of chemical warfare agents during the 1991 Gulf War. It should be interesting to hear the CIA's perspectives. 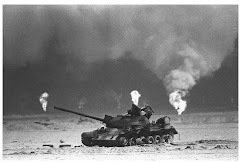 Gulf War veterans are hopeful that the Obama Administration will be as willing to expose previously unreleased information that might reveal more about specific Gulf War exposures, which could ultimately have a positive impact on their health and lives. * The Honorable Jim Binns, Chair of the Congressionally Chartered Federal Research Advisory Committee (RAC) on Gulf War Veterans' Illnesses. Binns is a former Principal Assistant Secretary of Defense in two Administrations, and is a Vietnam veteran. Binns earned the respect of the organized Gulf War veteran community through his continued work on and off the Committee on behalf of ill Gulf War veterans, including through his 2007 Congressional testimony, in which he stated his deep concerns regarding, "government manipulation of science and violation of law to devalue the health problems of ill veterans" -- perhaps news to Congress and the public, but certainly not to the 210,000 ill Gulf War veterans. * Dr. Lea Steele, Ph.D., immediate past Scientific Director of the RAC. Dr. Steele was the primary author of the RAC's newsmaking 2008 report, entitled Gulf War Illness and the Health of Gulf War Veterans , which comprehensively summarized the work and findings of the Committee, stating in part, "The extensive body of scientific research now available consistently indicates that Gulf War illness is real, that it is the result of neurotoxic exposures during Gulf War deployment, and that few veterans have recovered or substantially improved with time." Previously, Dr. Steele led one of the nation's earliest epidemiological efforts studying ill Gulf War veterans with the Kansas Gulf War Veterans Health Study, which Congress finally asked her about in 2002. * Dr. Roberta White, Ph.D, a renowned neuropsychologist who is Scientific Director of the RAC and serves as Chair of the Boston University School of Public Health's Department of Environmental Health. While the rest of the world was shocked, VA failed to react to the earthshattering reports of the 2007 research study released by Dr. White that showed that the brains of ill Gulf War veterans had measurably less white matter than their colleagues. * Mr. Rick Weidman, current Director of Government Relations for Vietnam Veterans of America. As a partially disabled Vietnam veteran himself, Weidman knows all too well about the meaning behind VVA's motto, Never Again Shall One Generation of Veterans Abandon Another and the lonely fight against VA and the federal Government by Vietnam veterans in order to obtain offical recognition of, health care for, and appropriate assistance related to chemical exposures (Agent Orange, Project 112/SHAD, and others) Post-Traumatic Stress Disorder (PTSD). In addition to being a national leader in Vietnam veterans' advocacy, Weidman has taken on advocating for post-Vietnam veterans as a personal mission, regularly speaking and participating at events important to their assistance. * Mr. Paul Sullivan, co-founder and previous, longtime Executive Director of the National Gulf War Resource Center, leading the Gulf War veteran community's efforts to introduce, pass, and implement the Persian Gulf War Veterans Act of 1998. Sullivan is a partially disabled Gulf War veteran who, for many years worked inside the federal VA's data management office culling critical statistics about Gulf War veterans' disability claims, death rates, and benefits usage trends. Oddly enough, VA has never made these invaluable reports publicly available on its website, though perhaps that will change in the Obama Administration. Today, he serves as Executive Director of Veterans for Common Sense, an advocacy group he also co-founded. The May 19th hearing should certainly prove revealing and ultimately helpful to Gulf War veterans -- 210,000 of whom have been ill for nearly two decades and whose health has largely stayed the same or gotten worse.However, in a strange twist, the U.S. Department of Veterans Affairs today published it's daily Federal Report mistakenly entitling the hearing, Gulf War Illness Research: Fact or Fiction? While that's certainly the tact that key mid-level officials (who have served as gatekeepers for years) have taken for the last nearly two decades regarding Gulf War illness, it is hoped by many in the Gulf War veteran community that the Obama Administration and Obama's new VA Secretary Eric Shinseki, will clean house and ensure that ill Gulf War veterans finally receive research-based VA treatment that improves their health and lives. The hearing, will be held on Tuesday, May 19th, 2008, at 10:00 a.m. local (Eastern) time in the main committee hearing room of the House Committee on Veterans Affairs, Room 334 of the Cannon House Office Building (HOB) [city map], on Capitol Hill in Washington, DC. The hearing is open to the public and Gulf War veterans and their families are welcome to attend.